For the CEC10 Family, there is an expansion available for an additional (2nd.) graphic interface. 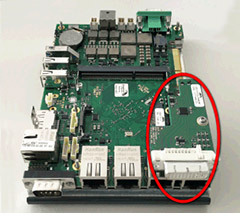 The CEC10 comes with a DP graphic interface onboard. 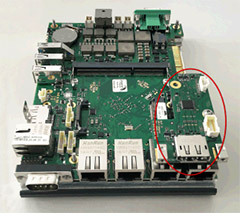 The additional (second) interface can be DP, VGA, LVDS, or DVI-D. 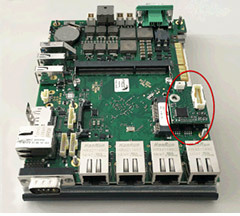 The postion of the connectors are at the top of the 4 x RJ45 connectors. It fits perfectly inside the enclosures. 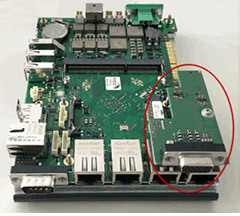 The LVDS is accessible over a lockable header.